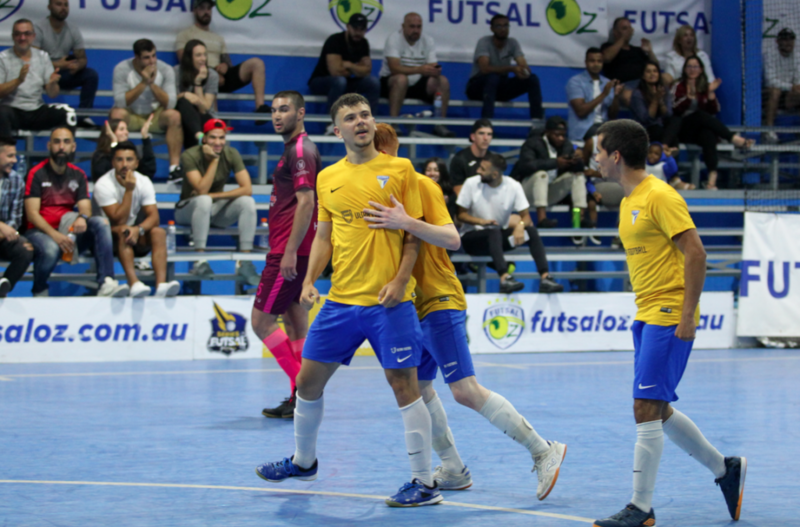 Our first game of round eighteen saw Altona Knights who were joint bottom of the table face Carlton who were still in search of a fourth Series Futsal Victoria title. It was the Heart who opened up the scoring through a goal to youngster Iggy Lahiff-Jenkins for what was the perfect start. Altona hit back though as Nikola Jurcic unleashed a rocket into the top corner to level the scores at one. A lovely bit of play from Carlton was finished off at the back post by Hayden Razbocan to restore the Carlton advantage which they held into the half time break. Early in the second half another well worked bit of play from Carlton was finished off by Rico Hauser as they opened up a two goal advantage. Altona would fire back again as Jayden Merceica caught the Carlton stopper off his line and brought his side back within a goal, but Chaaban Rajab then smashed an effort home off the crossbar to restore the two goal advantage for the Heart. 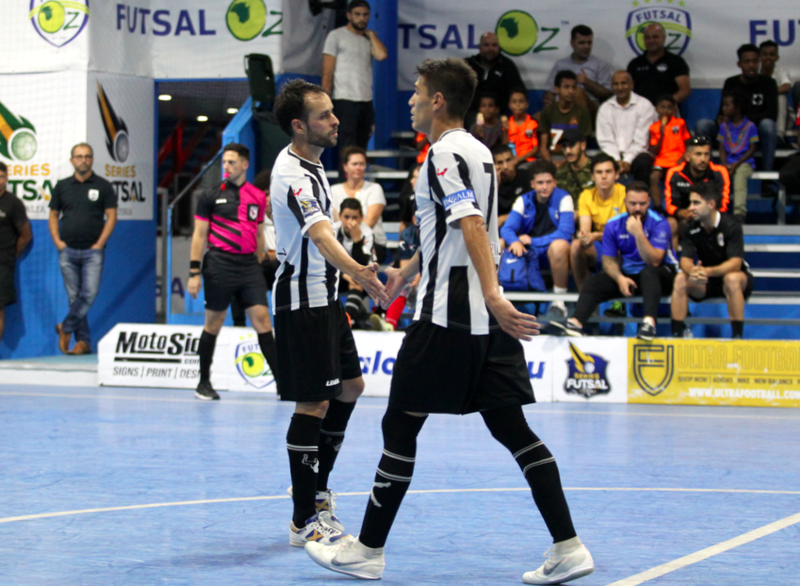 Altona continued to battle though and pulled another goal back through Jurcic who finished from close range, and soon after the Knights were level as Tony Saric struck to send the game to penalties. It was the Knights who took the points in the shootout to come from two goals down and put a severe dent in Carlton’s title charge, while also lifting themselves off the bottom of the table. 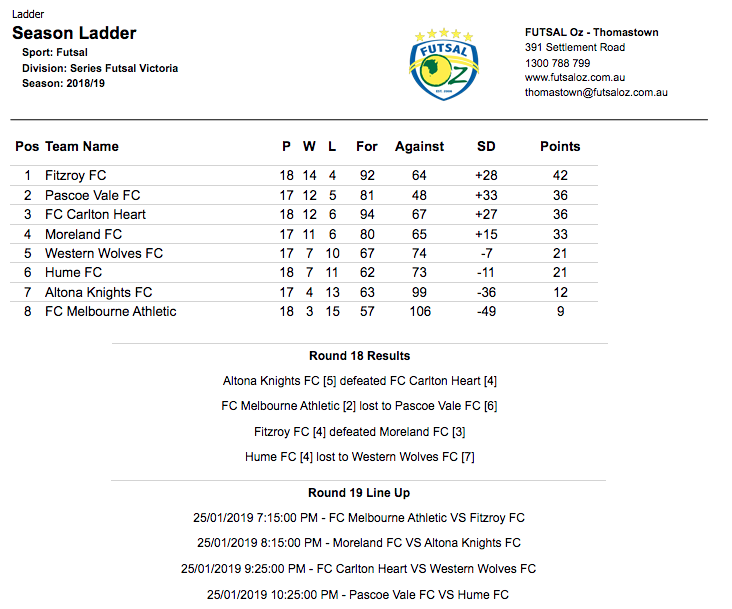 Next up saw Melbourne Athletic look to match Altona’s upset earlier in the night as they took on Pascoe Vale. It was the Lions who opened the scoring despite a cagey opening as Brenno Polatti lashed home from a side ball to give his side the lead. 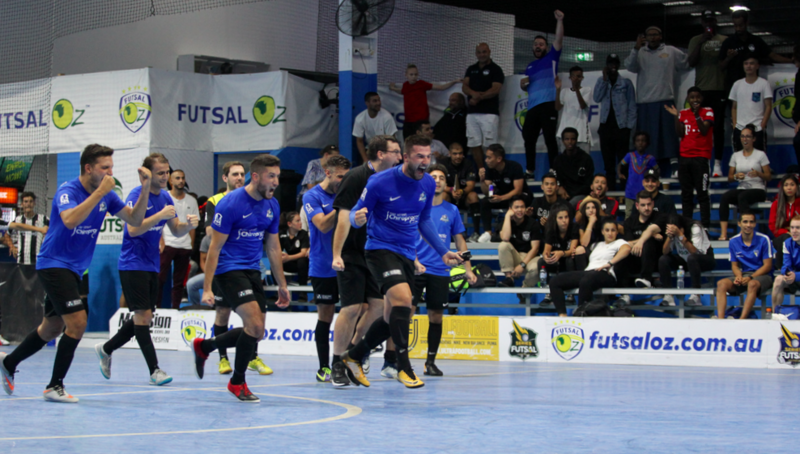 Melbourne hit back after some lovely work from Ben Grillo saw him find the net to bring his side level, but they would only remain level for a short time as Henrique Fernandes Pimenta continued his good form firing home to have his side ahead at the break. Pascoe would net again early in the second half through Mauricio Novak to open up a two goal advantage, but Melbourne continued to battle and got a goal back through David Smeathers to again close the gap to one. Fernandes Pimenta went one on one with his man and beat him before putting it into the bottom corner to again have the Lions two up. Joao Da Silva and Andre Caro both chimed in with late goals to seal the win for Pascoe and keep them in the title hunt. Next up was the game of the night as top placed Fitzroy faced fourth placed Moreland who sat just three points behind their rivals looking to close the gap. It was Moreland who struck first through a Matthew Vragovski strike high into the net to give his side the lead, and the Blues looked in the mood as Adam Cooper volleyed home into the bottom corner to double the advantage and have Moreland right on top. Fitzroy hit back as Leo Kimpara tapped home, before Corey Sewell struck from a rebound to bring the Tigers level as the game was heating up. Sewell then found the net for a second time to put Fitzroy ahead for the first time on the night which they carried into the half time break. Moreland looked rejuvenated in the second half and pulled level when Abdirahman Ahmed finished at the back post to tie the scores at three. In what was a high quality game, goals were hard to come by for both sides with the next one proving the winner and it went Fitzroy’s way as Cosimo Russo found the net with under a minute to play and despite some heavy late pressure from Moreland it wouldn’t be enough as Fitzroy remain six points clear with three games to play, though Pascoe Vale and Moreland still hold a game in hand. 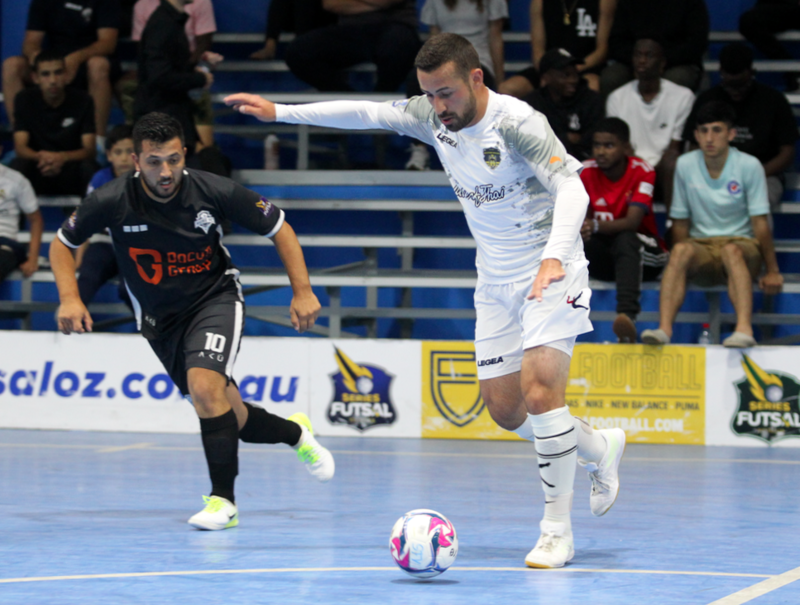 The final game of the evening saw Hume face Western Wolves as both sides were looking to climb out of the relegation playoff spots. It was the Wolves who struck first through Rayane who was on hand to give his side the lead, but Hume hit back through Luqman Samuri who brought his side level. Hume then took the lead as Kursut Guler hustled his way to score and make it 2-1. The Wolves continued to battle though and got a goal back instantly through Ubeyde Cicek, before Cicek fired home again to have the Wolves 3-2 ahead at the half time break. Early in the second half Cicek completed his hat trick to open up a two goal cushion. Cicek was proving too much to handle as he slotted home his fourth of the contest to all but seal a win, and he wasn’t done there as he struck twice more, tormenting his former side bringing up his tally to six. 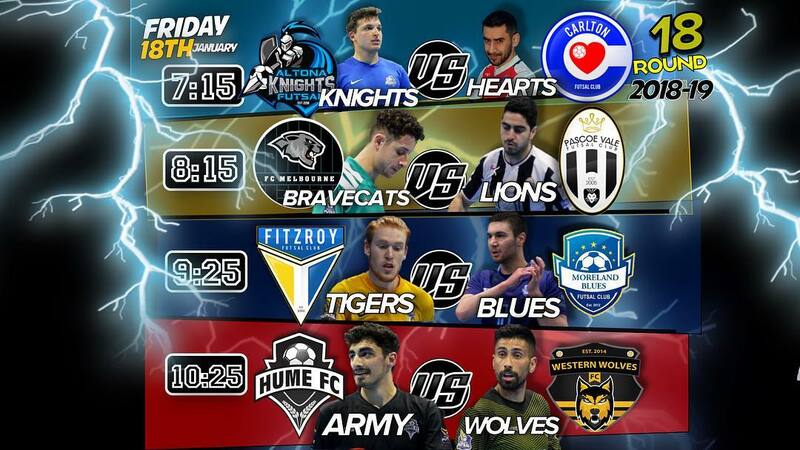 Hume got a couple of late goals back through Moe Matar and Muhammed Temel but it wouldn’t be enough as the Wolves climbed out of the relegation zone sitting on equal points with Hume with only three games to play.